Wembley, Paris St Germain’s Parc des Princes, the Stade de France and Real Madrid’s Santiago Bernabéu stadium all have them. So do most Premier League clubs. And now, so will the Somaliland national stadium in Hargeysa. What do they have, you might well ask? Well, all of these famous grounds and clubs have their goals and posts supplied by Harrod Sport – one of the UK’s top manufacturers of sporting equipment, who’ve been making top-quality kit since 1954. And when the company read about the plight of the Somaliland team on BBC Sport, they simply couldn’t stand by and do nothing. Somaliland is a member of CONIFA and has long struggled for recognition as a team in its own right. The region is an independent state, but is not recognised as such by any other country; Somalia still declares Somaliland as an autonomous region. 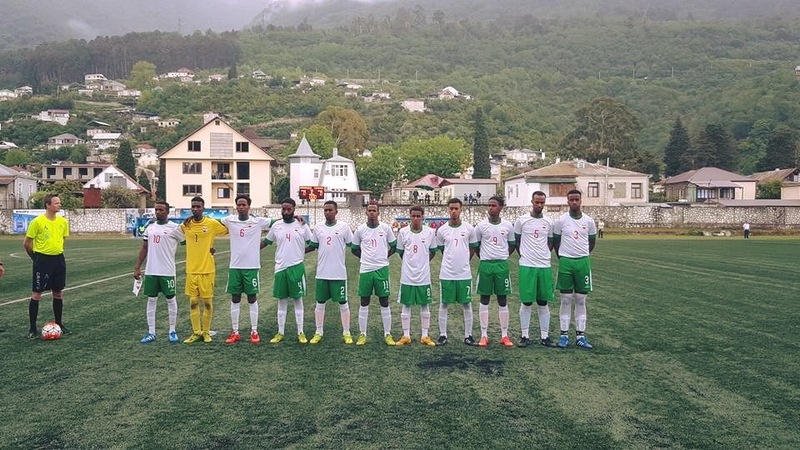 The BBC Sport article highlighted the difficulties faced by those assisting the football teams in the area; working in a region where poverty is rife and people get by on an average wage of $347 a year. It’s a remarkably generous gesture from the company, who have recently set up The Ron Harrod Foundation. The foundation provides funding for sportspeople under 25 to help them continue to compete in their chosen sport, and while it’s currently only available to those based in Norfolk and Suffolk, the company aim to to expand over the years to assist multiple young athletes across the UK. And while The Ron Harrod Foundation might be focused on UK-based talent, worldwide causes such as the Somaliland team are also where the company can see its help having true on-the-ground effects. Kate Pasque explains. “The quote in the BBC Sport article, ‘We think every young person should have the opportunity to play football’ really rung true with us at Harrod Sport. We had no intention of stretching our funding pot further this year, especially halfway across the world! However, reading that one in 11 children in Somaliland do not survive to their fifth birthday made us all at the company want to help in any way we could to give hope to the children for their future and their future in football. Providing equipment to a pitch that children will strive to play on, and, in turn, inspiring hope, is everything The Ron Harrod Foundation represents. Ilyas Mohamed has no doubt this is the case. “The association is very grateful to The Ron Harrod Foundation. It’s a wonderful and generous donation. We are excited about the future and cannot wait to host Somaliland’s first international match on home soil.